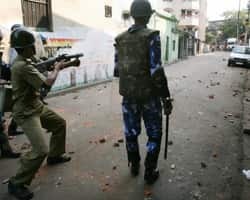 Kolkata: The army was called out to quell violent protests in Kolkata as new trouble broke out in a political row over the killing of villagers opposed to surrendering land for industry in Nandigram. "People were allowed to move in the streets with their hands on their heads. 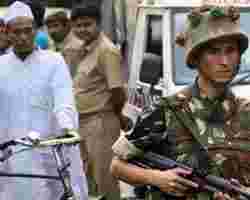 Many have been held up in offices," Swati Ghosh, who works in the area, told Reuters by phone. "We hope the situation improves by evening." Police said at least 30 vehicles had been damaged, some of them set on fire, and several protesters and policemen injured. 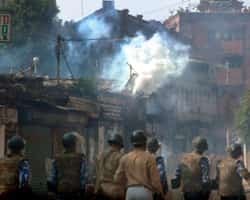 "We are trying to bring things under control, there seems to be trouble everywhere," said Jawed Shamim, a top city police officer. 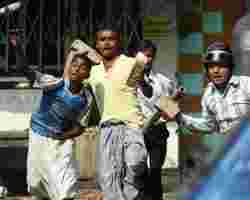 The latest trouble came after a two-day strike this week over the issue in West Bengal and its neighbouring state of Bihar, during which Maoist rebels blew up railway tracks, disrupted train services and blocked highways. "It was a peaceful protest. I don’t know how this turned violent. We are clueless," said Idris Ali, chief of the forum. The violence in Kolkata disrupted the proceedings in Parliament in New Delhi as angry lawmakers shouted their communist counterparts down in the Rajya Sabha, leading to chaos and forcing the chamber to be adjourned for the day. "The ruling left front has failed to protect the people of Nandigram, the people are terrorised by the left parties," the opposition leader L.K. Advani said, referring to the government of West Bengal, the world’s longest serving democratically elected communist government. "We are witnessing the end of communist-rule world over and Nandigram will be a turning point in the politics of West Bengal."